- 8 minutes walk from the pier and one block from Omotesando Shopping Arcade. - From the pier, go right for Omotesando Shopping Arcade. 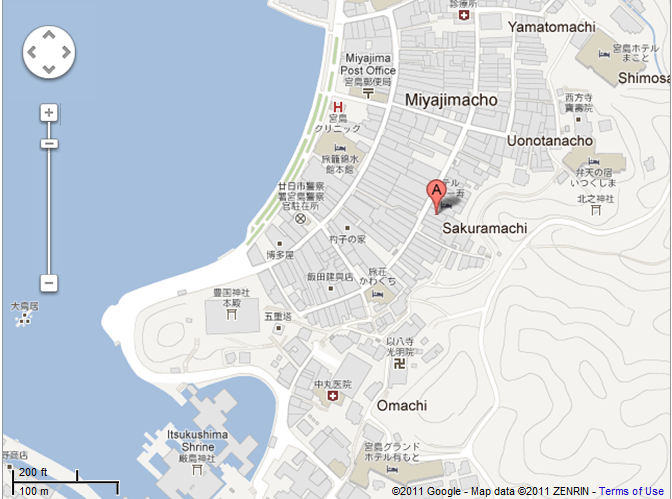 - After you pass Hotel New Kotobuki on your left, you will find Nakaya one house away from it on left side. 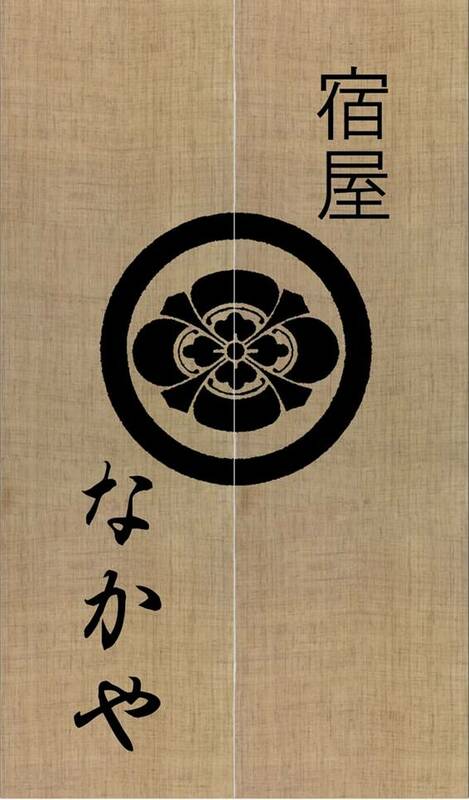 You will find this noren, a curtain-like banner at the entrance. If you are coming in from aboard, Miyajima (Hiroshima) is close to Kansai International Airport (Osaka) (which is very close to Kyoto) and Fukuoka Airport (Fukuoka) than Narita Airport (Tokyo). Haneda Airport (Tokyo) is convinient for domestic fight to Hiroshima.